Warning this may be just too simple for most people to comprehend however this does work and it works very well. This is a very nice short bash shell script that does just one thing, it starts a background service which in this case happens to be a tornado process while capturing the PID so the service can be stopped later. 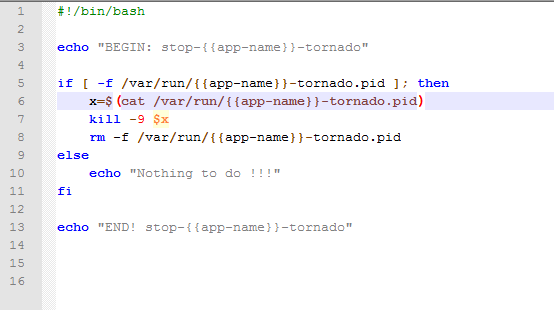 This is another nice short bash shell script that stops the previously started tornado service. I like simple scripts that handle complex tasks. Keep it simple also means keeping it Agile and there is nothing more agile than a nice short simple script. Vyper Logix Corp Makes ITC (Inter-Thread Communications) Easy as 1,2,3 !!! 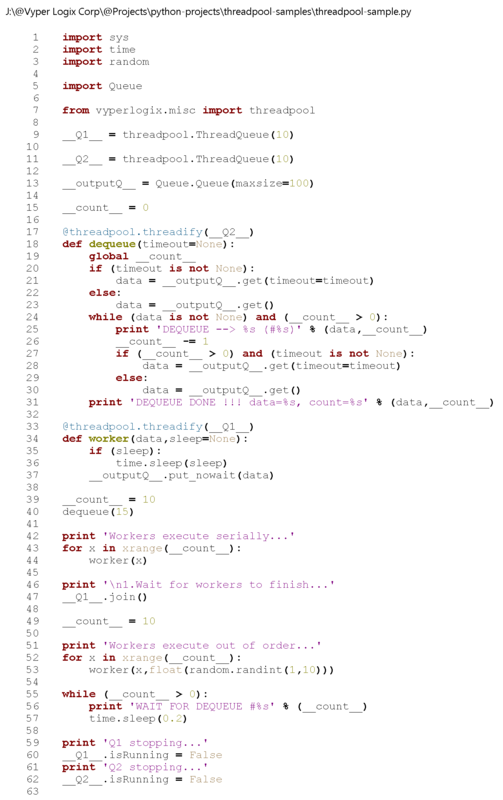 Take a look at the code sample found in this article !!! Best of all the main process terminates itself once all the work has been done !!! Code sample was printed using Wing IDE and Snag-It 10.